The Jack Wolfskin Mens Sutherland Hooded Fleece is a lightweight stretch fleece with hood ideal for day hikes and trekking adventures for effortless style and protection wear as a stand alone layer, or pair with other garments to ensure full protection from all elements during the wetter months. 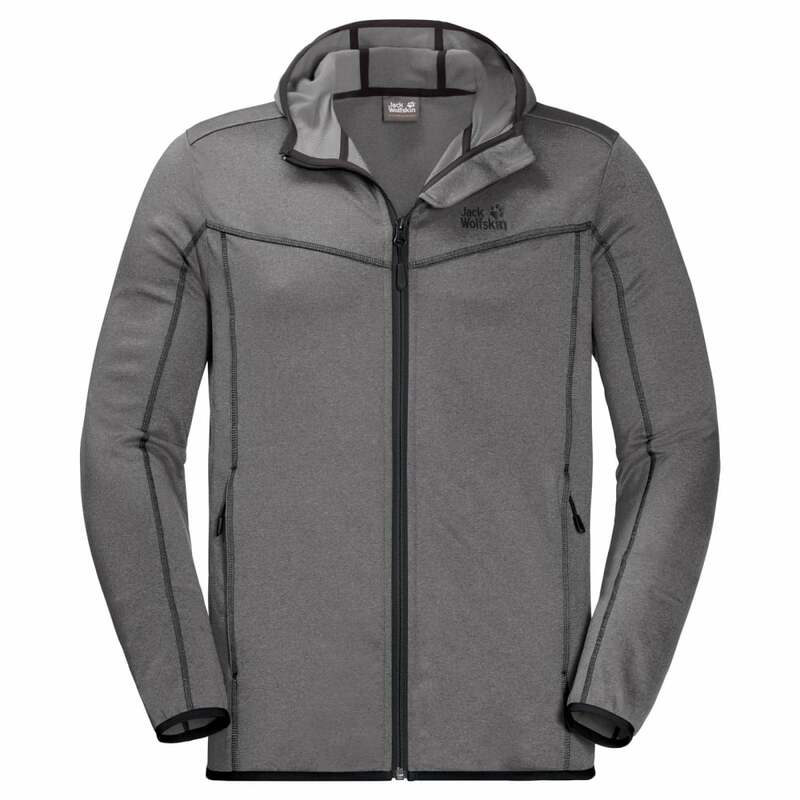 Nanuk Dynamic Fleece is a highly durable stretch fabric that provides excellent insulation and freedom of movement. The stretch properties aid mobility while the breathable and fast drying performance makes it well suited to active outdoor pursuits. The stretch properties provide unrestricted freedom of movement, allowing you to move without hindrance. 2 zipped pockets provide a secure and safe location to store essential items when out and about as well as a place to warm your hands. An attached hood with stretch binding provides convenient protection from the elements, ideal for protecting the face and head against cold winds. Valid for UK mainland orders only (Offer excludes Northern Ireland, Scottish Islands, Isle of Man). If the order value is under £50 there is a delivery charge of £3.00 or £6.00 for Premium Next Day Delivery. EUROPE: We have a standard delivery charge of £15.00 to mainland Europe. Please contact us for Non-Mainland Europe orders. NB. Standard delivery time is up to 5 working days once shipped : Premium Next Day arrives one business day after dispatch (Weather and road conditions permitting). Business days are Monday to Friday. Should you wish to arrange Premium Next Day Delivery for delivery on a Saturday please contact us and we will be able to arrange this at extra cost. The cut-off time for orders to receive guaranteed same day dispatch is 2.00PM. Please note we do not dispatch orders on a bank holiday. Any next-day delivery orders placed on a bank holiday will be dispatched on the next working day. For example if you place an order on a bank holiday Monday for next-day delivery, your order will be dispatched on the Tuesday and arrive on the Wednesday.